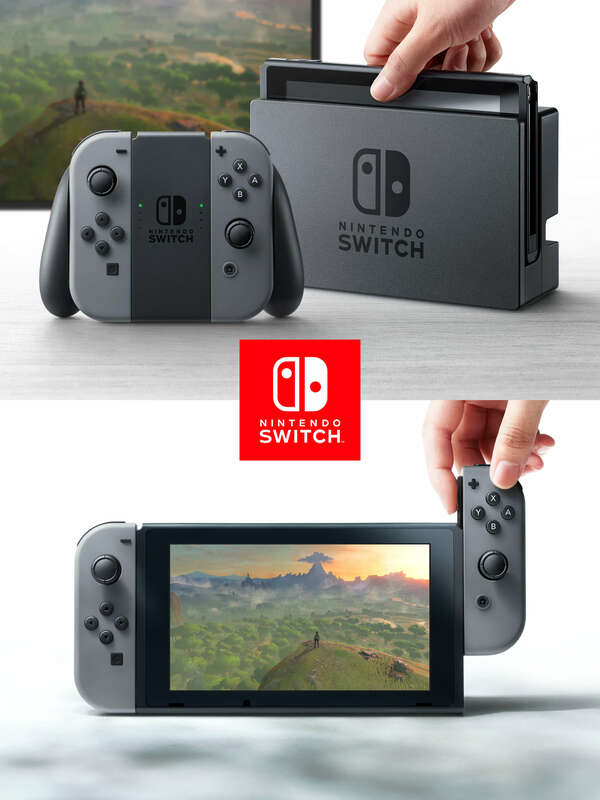 Nintendo Switch: The NX is Here! Nintendo Switch: The Ultimate Guide. 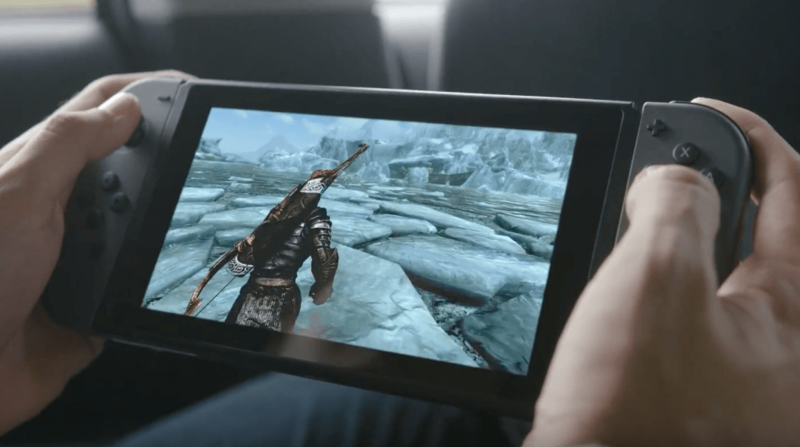 Featuring on the go play, a hybrid design, and several awesome features, Nintendo has announced its latest console to the world, the Nintendo Switch. Bookmark this page, because we will be updating it with specs, pictures, reviews, and announcements regularly! If you haven’t seen the video, take a few minutes to indulge in the this glorious promotion then dive into the specifics below! Also we are doing a Mario Party 10 Giveaway – so sign up! The Nintendo Switch is the official name to the formally code-named Nintendo NX. 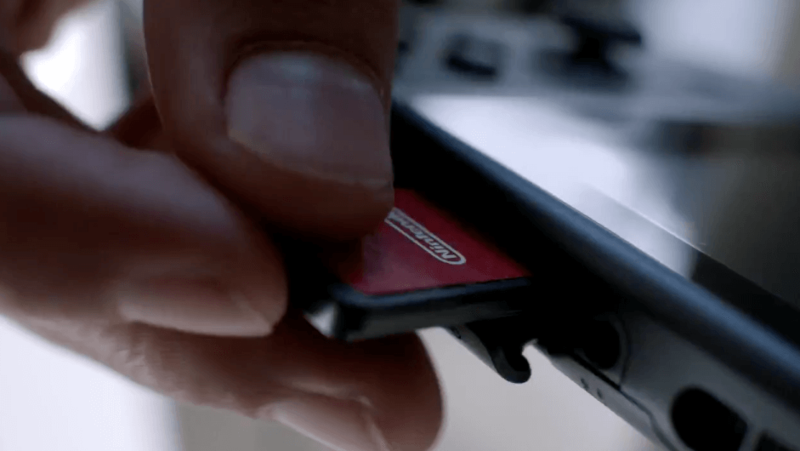 On 20 October 2016, Nintendo posted a video (above) giving a sneak peak into the future of how they see modern gaming. 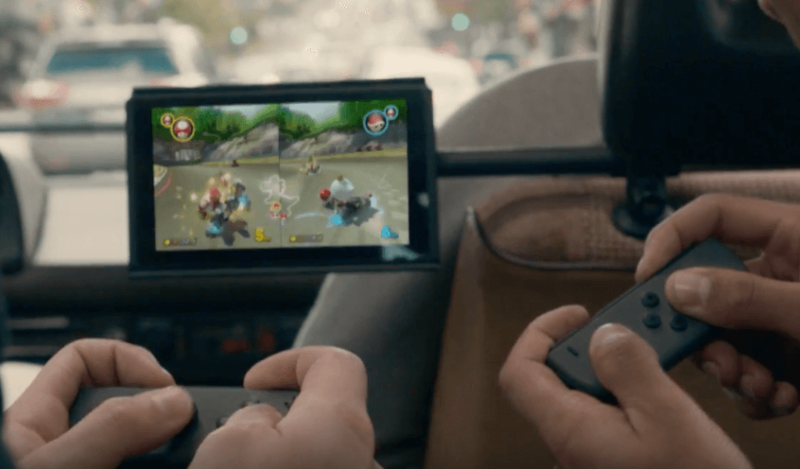 The Switch will be a hybrid device that allows players to engage in Nintendo’s killer content, anywhere, using a creative docking system for the screen, controllers, and television. The main theory behind this device is that you can play with the system at home, then mount the controller to the console and take it with you as a portable device. Gone is the branding of Wii, the 2000’s had their time, now it’s time for Switch. You can get a notification from Amazon when pricing data comes out. The console is a tablet. The tablet is the console. Blurred are the lines of handheld versus home console, and so are the lines between the living room and the road. The device, which appears to be approximately the same size as an iPad mini, can be docked into a stationary platform that provides power, HDMI output, and ports. You can see two USB connections on the left side of docking station which will conceivable support hard drives, Gamecube controller adapters (SMASH BROS!!! ), and other devices like Ethernet connectors. The “console mode” is where traditional gaming happens, so having an option to support this is wise. 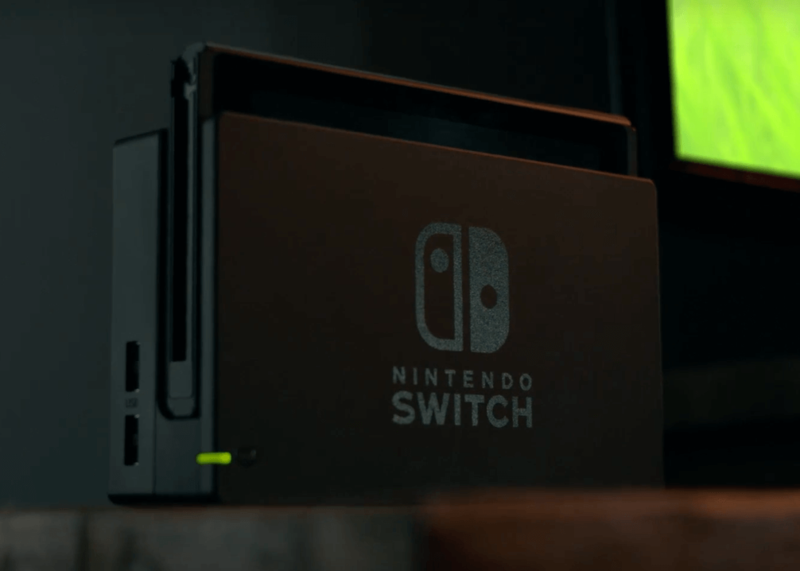 Whether or not the dock has anything like off board GPUs is unknown at this time was has been settled by a Nintendo statement stating, “The dock will provide television connectivity and power to the Console”. By not adding tons of features to the dock, they can keep it inexpensive so players can have a dock in multiple locations. Their statement of ‘Power’ can also refer to the idea of under clocking the device when it is not in the dock, and giving it full power when it is connected – powering the GPU at full force. The tablet is where this device shines. With a GPU powered by Nvidia, the handheld shows impressive graphics and game-play. It seems to show no performance loss between the “console mode” and “tablet mode”. You will be able to immediately disconnect the device from the dock and continue game-play with no interruptions. Nintendo has had practice in the portable world by literally dominating handheld gaming, and learning what works with the Wii U, they have merged these experiences into something literally magical. The tablet also can “sync” and played shared content between them wirelessly. 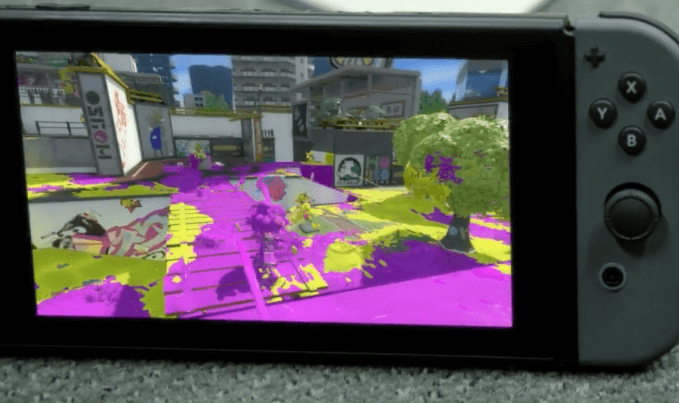 In one scene, several competitors are shown practicing Splatoon while sitting in a circle in a convention center, no wires – all smiles. This brings an amazing sharing capability out of the handhelds only market and into the mainline console. 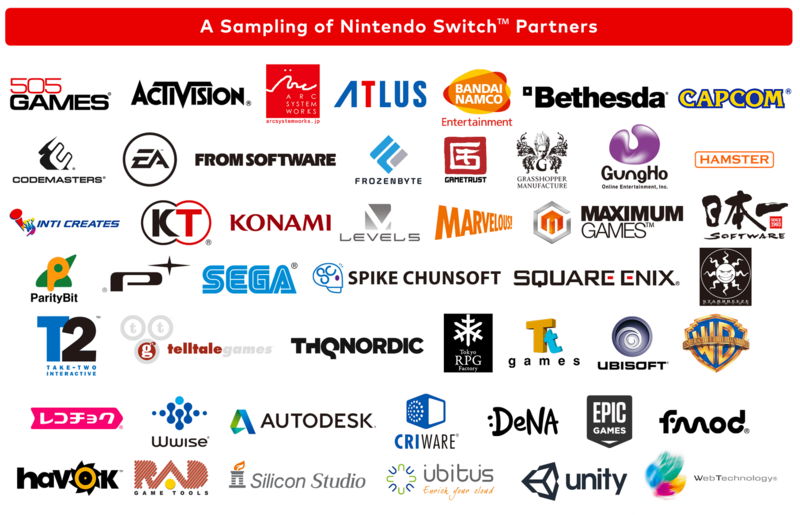 This also has potential to strengthen the “together” gaming that Nintendo has famously advertised since the 80’s – putting people together is what Nintendo does. 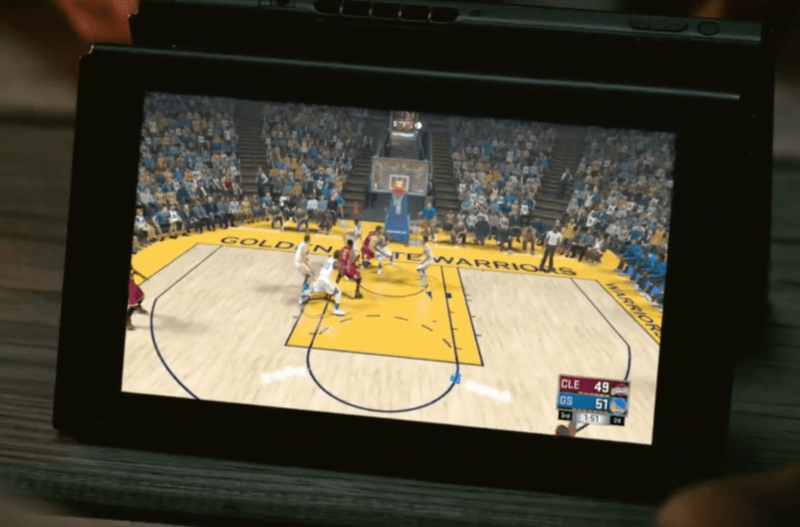 The Switch tablet has many other great features like a 3.5 mm headphone jack (Apple will be pissed) and a kickstand that would allow you to prop up the device and play. This expands the play mode from hand-held and living room, to basically having a television system wherever you go!! In the picture you can also see a door that says Game Card, signalling the return of their console to cartridges and the end of disc based media! 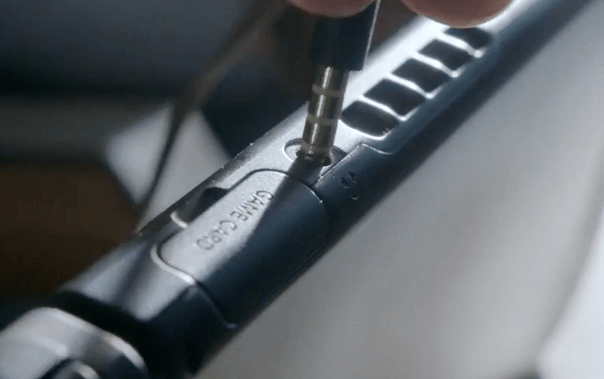 That Headphone Jack… And see those three rings on the plug? Could mean Mic support! Here is where this thing gets crazy. Nintendo is known for having creative and plentiful options to control there consoles – I am looking at 5 different official controllers for my Wii U right now!!! 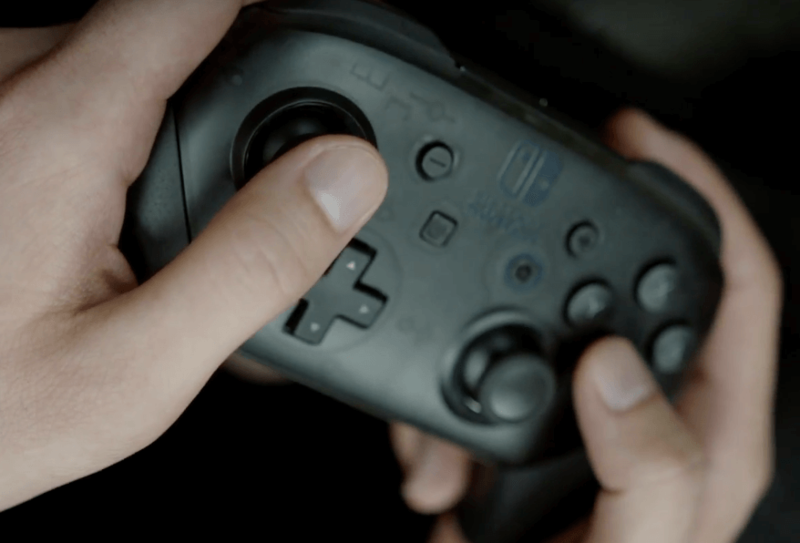 [Gamepad, Wiimote, Classic Controller, Pro Controller, GameCube Controller, for those wondering] In the press release we can see the Nintendo Switch has may ways to use the same controllers. First we see a wireless console controller similar to fat Xbox controller. You’ll see in the picture that two devices slide off of this base (which likely has extended battery support and improved range to pair with the dock) and then are immediately slid onto the sides of the docked tablet to create a hand-held gaming device! This is called the “Joy-Con Grip”. These mini controllers called “Joy-Con” are interesting because they are mounted vertically mirroring each other – so you have joysticks offset reminiscent of the GameCube controller. 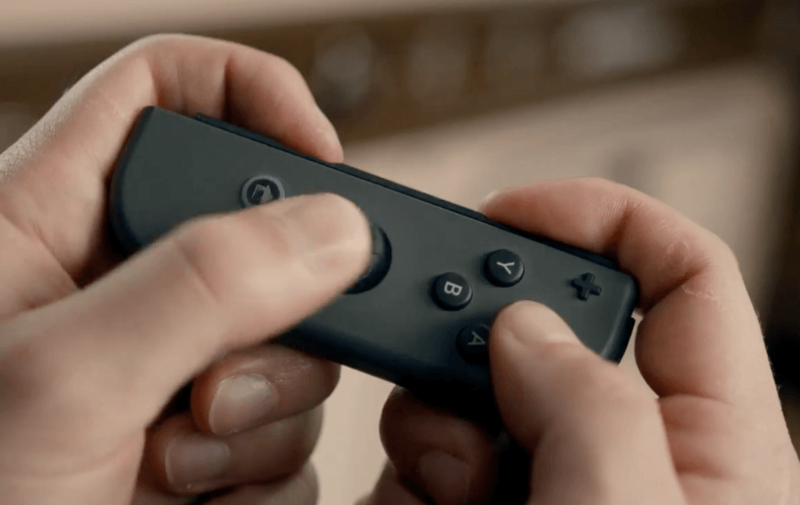 Later in the video you see that these mini controllers can be used to control the Tablet disconnected from the device similar to the Wiimote and Nunchuck, without being tethered to each other. Another exciting visual is two player using each mini controller to play at the same time, this being the purpose of the mirrored controllers. Even the iconic Nintendo D-Pad design is miniaturized on the controller. 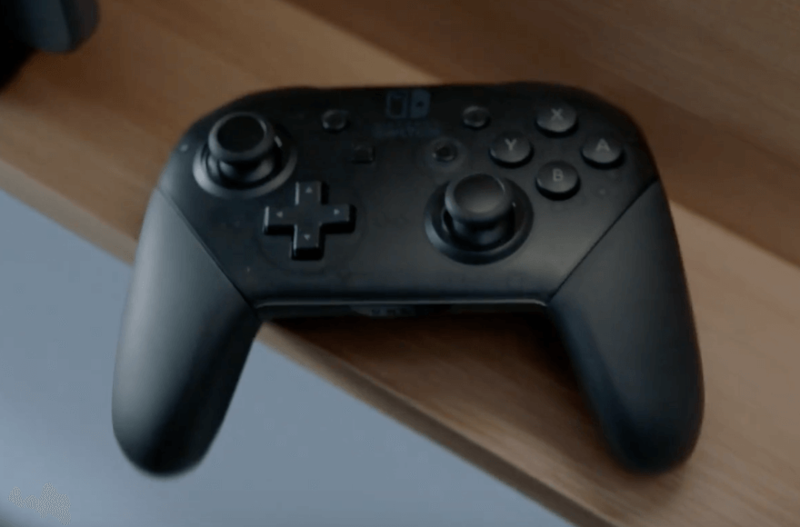 To add to the hype, and in Nintendo’s true form, there is another controller available – the Nintendo Switch Pro Controller. To support 3rd parties I’m assuming this was a must. Given their experience with the Wii U Pro Controller, which I argue is the best current gen controller available with an 80 hour battery life, it was only natural to bring that into the Switch as launch. FPS (first person shooters) are the first thing most people think about when they are looking for a pro controller. It’s great to see they kept the same offset dual joystick layout as the mini’s. 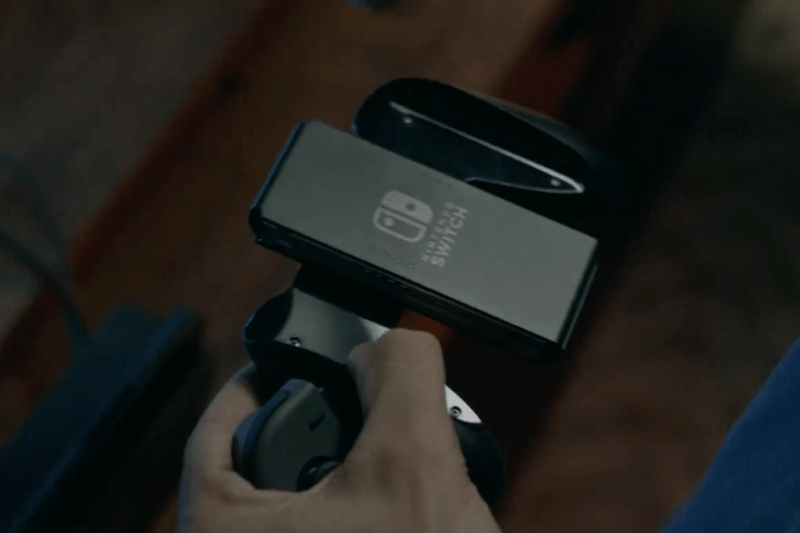 I’m really excited to see Nintendo being flexible and creative in the controller industry without just thinking of how many attachments they can throw on. Confirmed is support for Amiibo, which seems obvious. 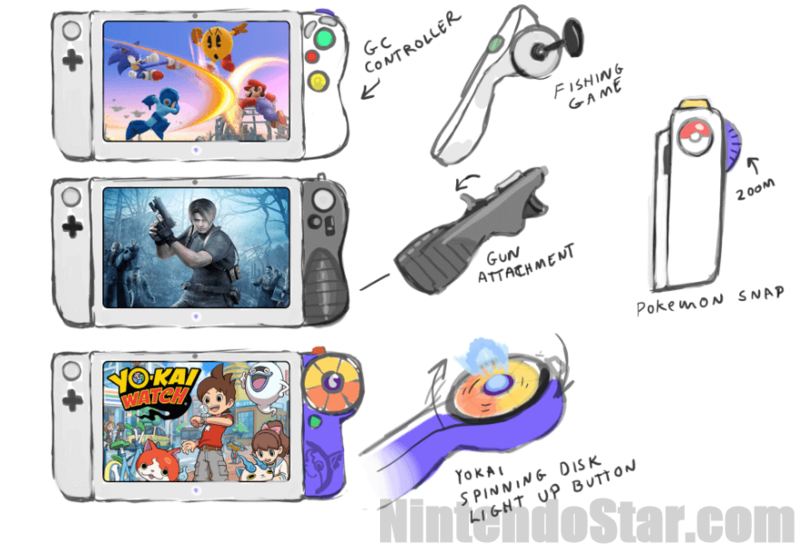 In a Nintendo NX prediction post we made a similar prediction (I think all are correct!) that showed a concept for different style attachments for different games… We’ll see if this happens! During the video we see some great game-play with hi definition graphics and third party support. Some of the different titles demo’d are Zelda: Breath of Wind, Super Mario, Skyrim, Splatoon, NBA 2K, and Mario Kart (I see you King Boo!). A TON of 3rd party developers are on board including Bethesda (Bioshock?! ), Capcom, and Squire Enix. 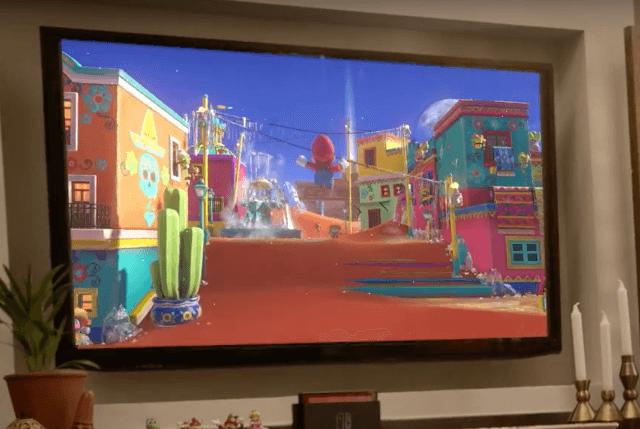 This is really exciting to see support coming back to the Nintendo console! Also you can see that Nintendo has moved back to the cartridge called “GameCards” which means there will not be native disc based Wii/Wii U backward compatibility. I expect this is partially due to the thought process that physical cartridges will be more difficult to pirate than disc based games. I’m hoping we see lots of Wii U games ported up the Nintendo Switch! Notice TWO Switches playing each other with no connections. I see you King Boo! Nvidia custom Tegra GPU with renamed Physics engine and game development libraries. This is great because many games developed for Nvidia chipsets can be easily moved over. This could be like the x2 and possibly they will have under clocking to preserve battery life in tablet mode. CPU: Four ARM Cortex-A57 cores, 2 GHz clock speed. ARMv8. Video: 60FPS at 1920×1080 pixels or 30FPS at 4K. Like WiiU this will likely depend on game and player count. Headphone jack. Mic support likely due to graphics of headphone plug. Multiple controllers and control options. Stay Tuned! We’ll Update Regularly! In the meantime checkout Japan’s announcement! Update 1 @ 5:08PM EST: Added Details in Specs! Update 3 @ 6:42PM EST: More Specs! Update 6 @ 1:22PM EST: Amiibo. Specs. Etc. great analysis. i think it’s really interesting concept – not sure how much it can cost though.